The Komodo Teacher Club Is Now Open - Join Us! Our teacher club is now open! We respect and admire the job teachers do - because we&apos;ve been there ourselves. So we&apos;d like to share with you some of our great, free primary maths resources for the classroom and homework - all you need to do is join our club, it&apos;s entirely free and easy to do. And, you&apos;ll also receive a special free Komodo subscription plan to use with your own family or for evaluation. Komodo provides parents with a way to improve their child’s maths skills through short regular practice sessions at home. It’s aimed at ages 5 to 11 and works on tablets, phones and computers. In our first 3 years we’ve taught over 5000 UK learners, won a few awards and received some great reviews from our subscribers. We know that parental engagement is the key to learning maths at home. So we’ve created many free resources to help parents become engaged. We’re now taking this a step further by developing free resources that primary teachers can use in class and for homework. Komodo engages parents in their child’s learning. It harnesses their motivation and structures it into an effective and rewarding “little and often” maths learning plan. Multiplication tables is a stumbling block for many pupils. 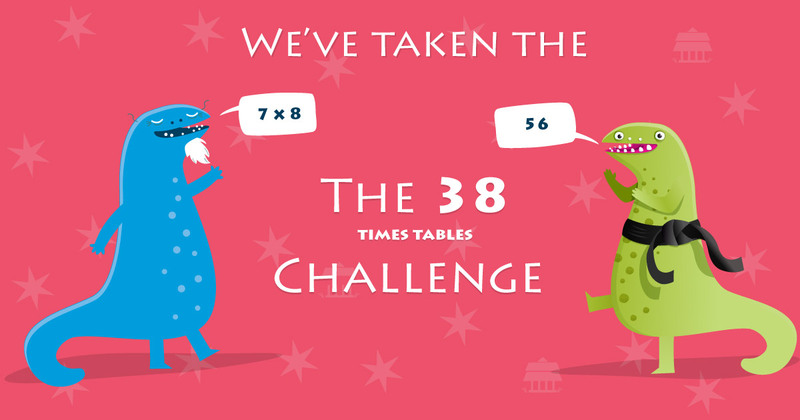 The 38 Challenge is a 3 step interactive resource that overcomes the fear and help kids learn tables in a fun and effective way. Check it out and join our teacher club to keep in the loop for more. We’d like teachers to know about Komodo and to see for themselves how our approach to learning works. If you’re a primary school teacher with your own children aged 5 to 10 we’ll give you a free subscription to Komodo. If you’d like to evaluate it on your own that’s okay too. For all the details join our teacher club below. We’d like primary school teachers to know more about Komodo so that - if you like what you see and hear - you may one day help us spread the word. We’ll always respect your privacy and you can opt out of our teacher-club emails at any time. We'll email you sparingly and we'll respect your privacy. You'll have the option to opt out at any time.